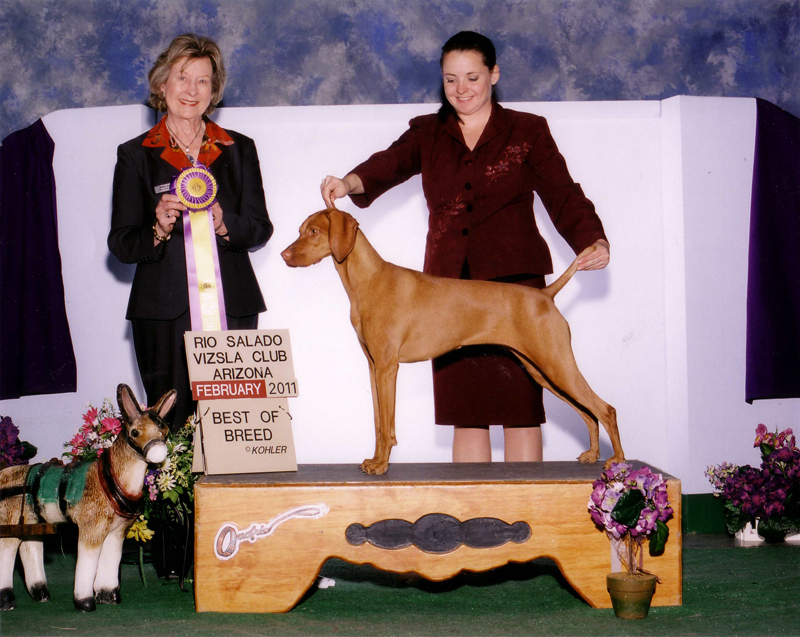 Mehagian Vizslas: Raising Champion Vizslas in Arizona for over 40 Years» Blog Archive » Congratulations to our recent wins! Congratulations to our recent wins! 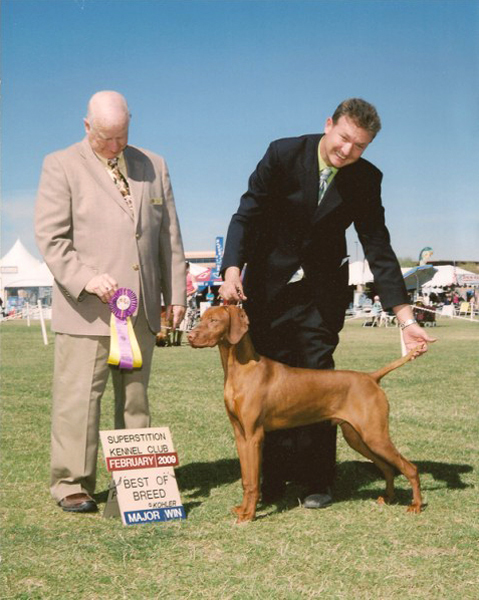 Mehagian Vizslas congratulates all the Mehagian Vizslas on their wonderful showing at the six dog shows over the weekend of Feb 4th-8th, 2010. We also congratulate Ch. Mehagian’s Sleepy Hollow the Beat Goes On for winning four Best of Breeds and a Group 4 over that weekend. This entry was posted on Thursday, April 22nd, 2010at 3:57 amand is filed under Recent Wins. You can follow any responses to this entry through the RSS 2.0feed. You can leave a response, or trackback from your own site.